Try this method of slicing up okra for crispy, crunchy, slime-free results. Love it or hate it, there's no denying that okra can get slimy. The so-called slime is something called mucilage, which comes from sugar residue and is great for, say, thickening gumbo, but not great when you're biting into a piece of sautéed okra and averse to that viscous texture. 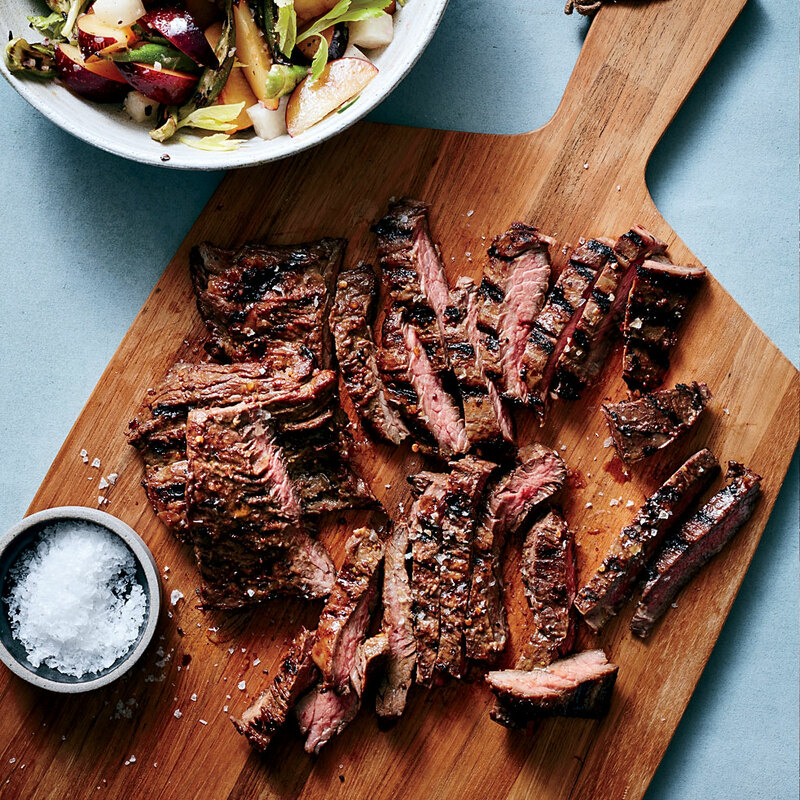 Food & Wine executive editor Karen Shimizu loves the recipe so much that she cooked it two weeks in a row. Yes, slicing okra this way is labor intensive. "It wants to roll around, and the seeds and slime are going to stick to your chef’s knife," she cautions. But after her second attempt, Shimizu devised a handy trick. "If you cut them up like you do an onion, leaving the top on so that it holds the vegetable together while you make your incisions, it’s a lot less messy and you have more control. Slice through the okra lengthwise up to the cap, leaving it intact. Rotate the okra not quite a quarter turn, then slice lengthwise again. If the okra is large enough, repeat once more. Then slice off the top to release the slices (and toss the top in the compost!)." The process yields a crispy, crunchy texture with no hint of sliminess. So for anyone looking to combat that texture, this is the move. This might not be the selling point for everyone, however. Shimizu, for one, is a fan of the okra's signature viscous texture. "I actually love okra’s gooey insides. It reminds me of some of my favorite Japanese foods, like natto and yamaimo," she says. "But I get that not everyone is a fan." 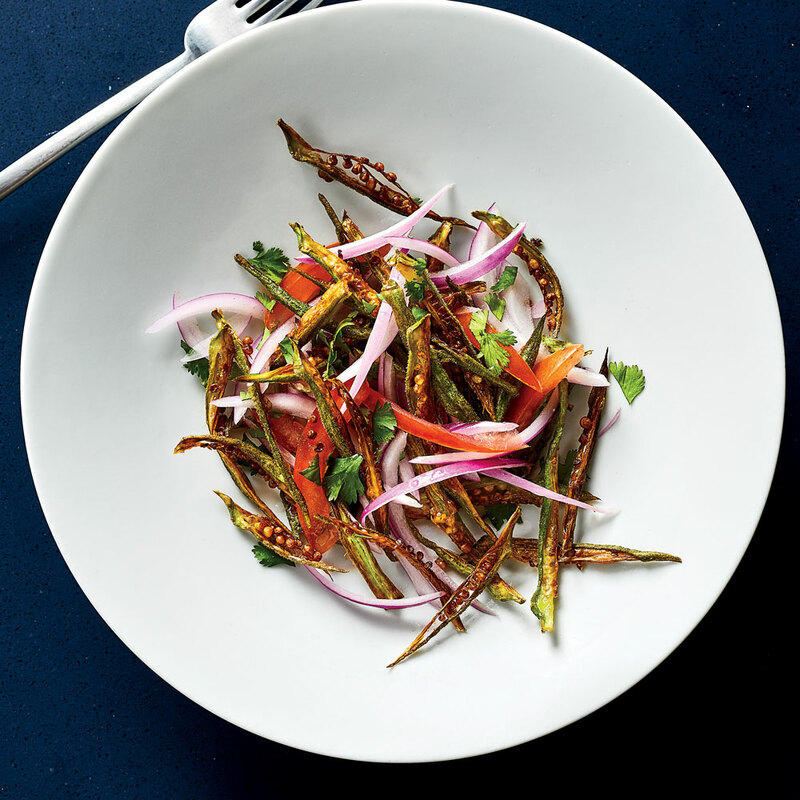 However you feel about the mucilage, slicing okra into long, skinny strips instead of rounds is worth a try, and in this recipe, you can expect a dynamic mix of crispy, crunchy, raw and fresh textures that will leave you planning to add this salad into your weekly rotation, too. Try this tip in this Crispy Okra Salad from Suvir Saran, and check out our other okra recipes here.